Icarus is a clean and beautifully simple user interface (UI) kit for web and mobile apps. This UI kit comes to you as a Photoshop PSD file. The Icarus UI kit was designed by Matt Skiles (from DVQ) and commissioned by the team over at Print Express for exclusive publication here on Six Revisions. 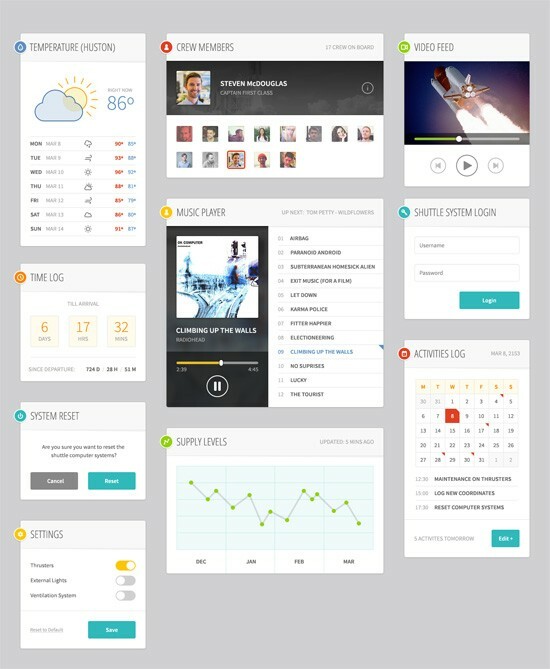 Other UI kits designed by Matt Skiles are Dijon and Jefferson. You can use this freebie as part of your commercial projects. Examples: Web designs, visuals for ebooks, infographics, PowerPoint presentations, web/mobile app UIs, etc. Attribution is not required (but appreciated). If you want to provide attribution, you can use this HTML markup: <a href="https://www.webfx.com/blog/web-design/ui/free-ui-kit-icarus/">Icarus UI Kit</a>. Free Responsive Content Sliders	Are These Google Penalties Fact or Fiction?